OCR calls Oracle Cluster Registry. It stores cluster configuration information. It is also shared disk component. It must be accessed by all nodes in cluster environment.It also keeps information of Which database instance run on which nodes and which service runs on which database.The process daemon OCSSd manages the configuration info in OCR and maintains the changes to cluster in the registry. Automatic backup of OCR is done by CRSD process and every 3 hours. Default location is CRS_home/cdata/cluster_name. But we can change default location of this backup of OCR. We can check default location using following command. We can change this default location of physical OCR copies using following command. How to take PHYSICAL Backup of OCR? First check exact location of automatic OCR backup location using "ocrconfig -showbackup" command. Because this automatic backup of OCR is physical copies of Oracle Cluster Registry. There is no need to bring down Cluster to take this physical backup of OCR. Use simple operating system's copy command to copy this physical OCR copy to backup destination as give below. How to take MANUAL EXPORT Backup of OCR? We can take export backup of OCR (Oracle Cluster Registry) also in online. There is no need to bring down Cluster to take export backup of OCR. Manual backup can be taken using "ocrconfig -export" command as follows. How to Recover OCR from PHYSICAL Backup? For recovering OCR from physical automated backup needs all cluster, RAC instances and RAC database bring down before performing recovery of OCR. Here you can find out command reference for Recovery of OCR from physical backup copy. SAME process should need to repeat for OCR mirror also. Oracle takes physical backup of OCR automatically. No Cluster downtime or RAC database down time requires for PHYSICAL backup of OCR. No Cluster downtime or RAC database down time requires for MANUAL export backup of OCR. For recovery of OCR from any of above backup it should need to down ALL. All procedure requires ROOT login. OCR backup needs to monitoring constantly. Because OCR is important part of Oracle RAC. 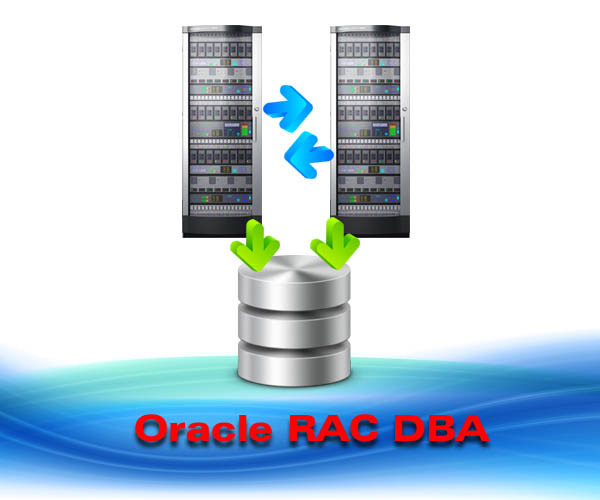 During remote database monitoring and remote database services, we need to take care of backup of OCR for Oracle RAC database administration. Dbametrix is world wide leader in remote dba support. Expert remote DBA team of Dbametrix is offering high quality professional Oracle DBA support with strong response time to fulfill your SLA. Contact our sales department for more information with your requirements for remote dba services.